As I’m sure all of you are well aware of, it has been reported that some question has arisen as to the faith of Mr. Barack Obama. The Miami Herald, World Net Daily, and other news outlets (link) are reporting that according to the White House and Barack Obama himself, Mr. Obama is not a Muslim but is a Christian. Some pastors are also making this public declaration with one pastor in particular even stating that Mr. Obama is a “devout Christian“. 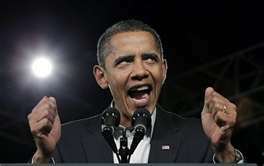 QUESTION: What part of evil and iniquity doesn’t Mr. Obama understand? How is it that Barack Obama, a supposed Christian, does not recognize the absolutely hideous and barbaric evil of child-murder, which now amounts to well over 50-million premeditated murders in the United States of America, committed against the unborn since 1973 with Mr. Obama’s unequaled and unwavering full support of it? I’m fairly certain that Mr. Obama knows that it is a matter of public record that he holds the worst record in the Senate’s history where child-murder is concerned. He even voted 4 times against the “Born Alive Infant Protection Act” which sought to provide immediate medical attention to any infant that survived a botched abortion!Source: Barack Obama’s Votes On Illinois’ Born Alive Infant Protection Act. He is also the only Senator who spoke out on the Senate floor against the bill and its protection of the unborn! Linked in this sentence is a short audio clip on the Chicago Tribune website of Obama arguing on the IL Senate floor on April 4, 2002, against Senate Bill B1663, a companion bill to the Born Alive Infants Protection Act that would have required an abortionist to call a second physician to assess a baby aborted alive. Regardless of any reasons Mr. Obama might give for having voted against this bill, i.e.”abortion rights”, they are Biblically inexcusable and reprehensible in the eyes of the LORD! QUESTION: Is murdering infant children in the womb and denying treatment to those who survive a murder attempt (aka abortion) things that a devout Christian should support and even promote? The Bible unequivocally says ABSOLUTELY NOT! No born-again Christian living for Jesus would ever condone the murders of innocent unborn children! Any belief contrary to this fact is without doubt satanic. On another heated topic, what part of the Biblically declared sin of homosexuality doesn’t Mr. Obama understand and why does he so vehemently support and promote this anti-Godly behavior? And what about Mr. Obama’s publicly declared goal of repealing the “Defense of Marriage Act” between one man and one woman? Did he forget (or simply ignore) what Jesus, the Son of God, said regarding this matter?…. As is clearly apparent from Mr. Obama’s position on these matters, he has lost (assuming he possessed it) all sense of the Truth of God’s Word and is contrarily residing in confusion and deception. Any Christian who knows and follows God’s Word without question knows exactly where the Lord stands on issues such as marriage and the shedding of innocent blood. Additionally, Mr Obama made numerous statements in his speech at Cairo University last summer beginning with the words…..”As the holy Koran tells us…”. QUESTION: How could anyone who calls themself a Christian give praises to a pagan book glorifying a false pagan god (Allah) in a pagan religion (Islam) and even go so far as to call this pagan doctrine… holy? No true Christian committed to Jesus Christ would ever state such idolatry laden words! But that is EXACTLY what Barack Obama did in Cairo, Egypt, in addition to his mocking and belittling the True Word of God…The Bible…. take a look! The Koran is a pagan book for a pagan religion that is rooted in evil and has no part with the Lord God of Abraham, Isaac, and Jacob. The God of the Bible is HOLY and loves you so much that He sent His only begotten Son Jesus to bear the judgment that you deserve for your sins (for lying, stealing, lusting, hating, blaspheming, not loving God above all else, etc.) and to die in your place (substitutionary sacrifice providing atonement for sins) while the false god Allah expects you to die for him killing others in the process (martyr’s suicide/homicide for a false god leading to eternal damnation). Jesus was raised from the dead on the third day thereby providing eternal life to all those who come to him in true repentant faith while Islam offers no means of forgiveness of your sins because there is only One way, and that One way is only through the Son of God, Jesus Christ who declares…. And what does the Bible say about supposed Christians worshiping false gods? …for what fellowship hath righteousness with unrighteousness? and what communion hath light with darkness? And what concord hath Christ with Belial? or what part hath he that believeth with an infidel? And what agreement hath the temple of God with idols?…2 Cor. 6:14b-16a. For Mr. Obama to claim the Koran as “holy” bears witness to who he really is. God’s Word above speaks multitudes directly to that matter and Mr. Obama’s glorification and praises of the Koran as holy escapes all truth, common sense, and logic. His supposed Christianity can never and will never be justly nor legitimately substantiated lest true heart-broken repentance on the part of Mr. Obama himself. I advise everyone reading this letter to hold to the Truth of the Word of God without fear. Otherwise, your spiritual health will be in grave danger. ****When someone is claiming to be a Christian, you MUST compare their words and their actions with the scriptures in the Bible which will determine if they are really a Christian or if they are simply claiming to be a Christian in order to deceive you and others for hidden purposes only they know. After looking at Barack Obama’s words and his actions, you can see that the Bible makes absolutely clear that he IS NOT speaking the words and he IS NOT doing the actions of a true Christian, i.e. someone who is faithfully following the Son of God, Jesus Christ. Actually, Barack Obama’s conduct appears to show that he is, at his core, someone else quite contrary to the Christian that he professes himself to be. Related post can be found HERE. And for those of you who want to know who Barack Obama really is behind all the deception he puts forth, I challenge any and all of you to take a look at this extremely significant but troubling news release from May of 2010…..click HERE. Then take a look at what is likely the most revealing video regarding Barack’s identity HERE! As the Son of God, the Lord Jesus Christ, often stated regarding such people who falsely profess Christianity…. Obama Strips the ‘Creator’ from Declaration of Independence — Again! For the second time in little over a month, President Barack Obama stripped the word “Creator” from the Declaration of Independence when giving a speech. ‘We hold these truths to be self-evident, that all men are created equal, that each of us are endowed with certain inalienable rights, that among these are life, liberty and the pursuit of happiness,’” Obama said in Monday’s speech. When asked why the president did not use the words “endowed by their Creator” in his Monday speech, White House Press Secretary Robert Gibbs told reporters on Tuesday, “I haven’t seen the comments, Lester. But I can assure you the president believes in the Declaration of Independence.”……. Note that Mr. Gibbs made no reference to Mr. Obama’s belief in Almighty God, whom the very discussion was about! This story seems to directly contradict Mr. Obama’s claims of Christianity. Anyone who has been born again of the Spirit of God, as is required states the Son of God, the Lord Jesus Christ, in John 3 verse 3, they would by no means forget who gives them their rights, the most basic and necessary of which is life itself. For Mr. Obama, a “supposed Christian“, to omit and fail to acknowledge the Creator God Almighty, the God of Abraham, Isaac, and Jacob, is simply another indicator of who this man, Mr. Barack Obama, really is at his core. I urge all of those reading this to take a look at a previous post I did on this very subject, which has numerous detailed facts out of Mr. Obama’s own mouth that he simply cannot deny. The post can be found HERE. I pray that many eyes will be opened to understand the truth and that many will come to see that Jesus Christ, the Son of the Living God, is the ONLY WAY of salvation and forgiveness of sins. Where Mr. Obama and others like him are concerned, I quote to you what Jesus stated time and again of these last days….. When all is said and done, may this not be said of you…..
Barack Obama Again Claims He Is A Christian….But What Does The Bible Say? On Tuesday, September 28, 2010, at an event in Albuquerque New Mexico, Mr. Barack Obama has once again declared that he is a Christian, in response to a woman’s question. What I would like to first point out is that all TRUE Christians uncompromisingly declare the fact that salvation comes ONLY through God’s Son, Jesus Christ, and that there is NO OTHER WAY of salvation, but though JESUS. ANY individual who is truly saved by and is sincerely committed to the Son of God, the Lord Jesus Christ, could never and would never make such a blasphemous and spiritually detrimental statement such as Mr. Obama made in his response. His claim that Jews, Muslims, Hindus, atheists, agnostics, Buddhists, have their own path to grace is extremely dangerous and entirely wrong and it is in direct contradiction with the Word of God. Additionally, true Christians do not revere or even compliment false religions and false gods! 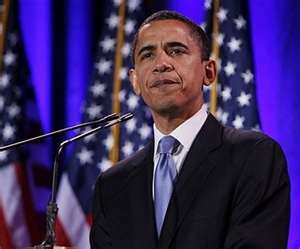 When asked about his stance on child-murder (abortion), Mr. Obama stated that “it should be safe, LEGAL, and rare“. This is not the position of a true Christian who knows and abides in God’s Word. NO REAL CHRISTIAN would condone, support, and promote the barbaric and Godless act of murdering infants in the womb, as Mr. Barack Obama does so adamantly and unashamedly. With that said, I urge you to visit a previous posting I did ( linked here ) on this very same subject which contains a great deal of information and also has direct quotes from Mr. Obama himself that undeniably answer the questions about his claims of Christianity. As the Son Of God, Jesus Christ, often stated to his disciples….Be Not Deceived. Also see related article located here at worldviewweekend.com. Obama Favors Allowing Mosque Near Ground Zero! THE DEVIL…IS IN THE DETAILS! Barack Obama has in the past publicly claimed he was a Christian (simultaneously giving praises of Islam and quotes from the Koran)! If we had more so-called Christians like Mr. Obama, America might have a lot less Churches and a whole lot more mosques. It must be duly noted that Mr. Obama made his profession of support for the building of the mosque at ground zero while hosting a White House dinner celebrating the beginning of the 9th Islamic month, Ramadan! Ramadan is the celebration of the month when the false prophet Muhammad supposedly began receiving the satanic koran from an angel sent by the false god allah. At the risk of repeating myself (which I must! ), Mr. Obama’s Christianity seems more like a corrupt version of it, if any, and if there were more Christians like him in America, we might all be forsaking the True Scripture of the Bible and feasting on satanic doctrine full of idolatry and all kinds of wickedness and evil. I believe that at some point in the future although I don’t know when, Barack Obama will show to America the true side of himself that he is striving to mask before the public. I hope that everyone reading this has their eyes and ears wide open because who Mr. Obama really is is becoming clearer and clearer with each passing day and it is my hope that you will see the truth. Although it is somewhat alarming to read this story, it is by no means surprising. 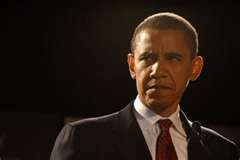 Barack Obama has done a multitude of things that contradict his claims of Christianity such as mocking the Old Testament scriptures, belittling Yah’shua’s Sermon on the Mount, and not to mention his unparalleled desire for murdering infants in the womb as is shown by his horrendous abortion record in the Senate and now in the White House. Almost immediately after his beginning to occupy the White House, he rescinded the Mexico City Policy, which was enforced by the Bush Administration. The Mexico City Policy made certain that NO U.S. tax dollars would go to organizations overseas who are helping to perform and/or promote abortion. Barack Obama’s policy on children is without doubt UN-BIBLICAL, but likely not un-koranic. Take a look at the articles and videos below and then ask yourself…..What is Mr. Obama’s agenda behind all of his anti-Christian, anti-American, and anti-life policies?…. 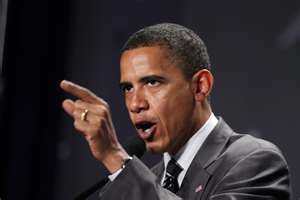 Click here to see some of the public response to Mr. Obama’s blatantly insidious position. He That Has Ears To Hear…..Let Him Hear!…. It is beyond my ability and wishes to comprehend the unprecedented madness taking place in the Senate. Not the least of which was the recent vote to table the Nelson/Hatch amendment. The amendment sought to make absolutely certain that NO taxpayer dollars would be used to fund the murders of innocent children in their mother’s womb (the exact same place you once were some years ago!). The fact that our nation even has to debate whether or not to use taxpayer dollars to fund the murders of children in their mother’s womb bears witness to the pure evil, sickness, corruption, and the deep level of depravity that America now finds itself buried in, and consistently seems to be descending deeper into with each passing day. As history verifies is the same case with the guy occupying the White House, 54 Senators voted against prohibiting taxpayer dollars from being used to fund child-murder in the womb, which shows that they have absolutely no concern whatsoever for the unborn and that our U.S. Government is completely devoid of ethics, morals, decency, and compassion. Conversely, the U.S. Government seems as if it is being consumed with practicing evil, and will eventually destroy itself if left unhindered. Repent, and turn yourselves from all your transgressions; so iniquity shall not be your ruin…Ezekiel 18:30b. The Son of the Living God, Jesus the Christ (Messiah), suffered the judgment that rightly belongs to you, to me, and to each and every one of us all. By doing so, His precious blood that He shed on the Cross provides atonement for everyone who, out of a contrite heart, repents of their sins and puts their faith and trust in HIM alone. THERE IS NO OTHER WAY FOR FORGIVENESS BUT THROUGH JESUS! Unless JESUS is sought through true repentance, I have absolutely no doubt whatsoever that this nation, the United States of America, is finished. I urge you and all of us as a nation to seek Him NOW! Seek ye the Lord while he may be found, call ye upon him while he is near: Let the wicked forsake his way, and the unrighteous man his thoughts: and let him return unto the Lord, and he will have mercy upon him; and to our God, for he will abundantly pardon…Isaiah 55:6-7. Thank you for your time and may you take heed for the sake of our nation and for your very soul.